Appearing in your inbox every other week, TAKE5 gives you an update on the latest Meetings, Incentives and Business Travel related news. It contains short and to the point information on venues, people, happenings, lifestyle and general news that cannot wait to be told! BBT Online guarantees you 15 new ideas in just 3 minutes. Enjoy our 35th edition. Take a tour of the most incredible industrial city in Europe. ‘Ugliest city in the world’ according to a recent Dutch poll, Charleroi offers a wide range of thrilling attractions. A real Safari bus will take you on an urban safari and discover the place where Magritte's mother committed suicide, the "ghost metro", the most depressing street in all of Belgium, or climb up a Terrill (waste coal pile) and visit an authentic abandoned metal factory. 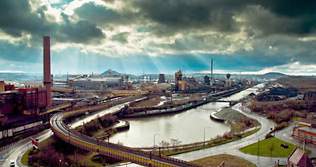 Charleroi adventure will reveal to you the unknown mysteries of the most interesting post-industrial region in Europe. Ghoulish? Definitely… Different? Without a shadow of a doubt! Tuesday 15 and Wednesday 16 March 2011 it’s meeting time, with the 10th edition of EMIF, the European Meetings Industry Fair, being held at the Tour & Taxis Exhibition Centre in Brussels. EMIF is the place to be for all Meeting & Event Planners for finding new ideas, renew old business contacts and make promising new ones with meeting and event suppliers from all over Europe. The tradition of educational seminars is continued, even the next MPI Belgium Conference and the annual conferences of BSAE (Belgian Society of Association Executives) and ESAE (European Society of Association Executives) will take place at EMIF! The members of Initiative, the Belgian Association of Qualified Incentive Specialists and BBT Online, took part in an educational trip to Namibia organised by the DMC Abenteuer Afrika Safari from Dec 10 – Dec 18, 2010. Raymond Desmet, Managing Partner @dmire reports. Just reading his article makes you want to break out and book a ticket for Namibia. 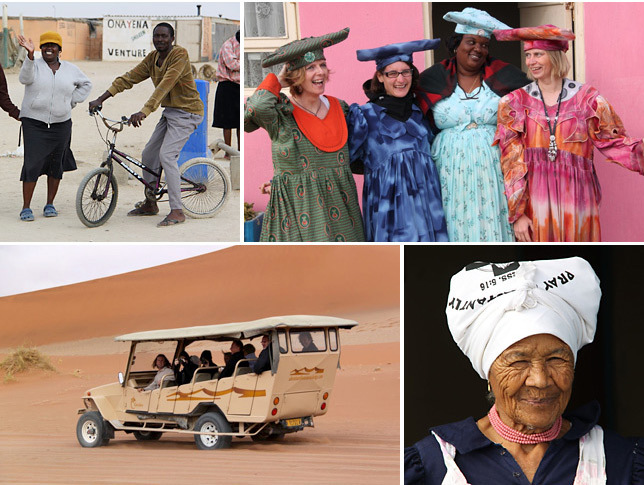 Click here for a luxury discovery of Namiba. Did you know that in Switzerland nearly 100% of the VAT is refunded to meeting planners within one month after the end of the meeting? This is certainly unique and for the meeting planners quite a reduction of cost or even an additional income. 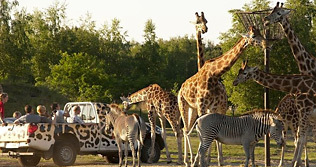 Safaripark Beekse Bergen will aim for the corporate business visitor in with the opening of Event Center Beekse Bergen, a venue for up to 1,500 guests. A series of lounges and meeting rooms can be combined with a safari in the park, thus creating a special and unique venue complex with of course an African theme. Dream of an amazing Provencal farmhouse from the eighteenth century, which offers its beautiful living space set in over 50 hectares of garrigues and woodland at the foot of the Cevennes. A stone's throw from Uzes, from the bamboo forest in Anduze, from the antique city of Nimes and so close to the wild wetlands of the Camargue. 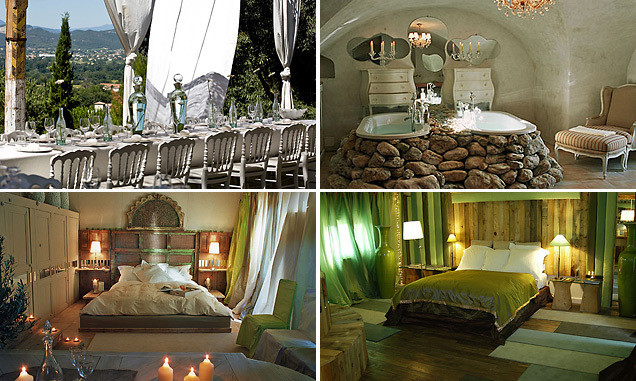 The place can be rented as a whole (up to 20 people), a perfect corporate retreat. And should you get bored there is a swimming pool, tennis, walks or bike rides, butterfly hunting or mushroom picking; the 57 hundred acres of the property offer a wide range of distractions. 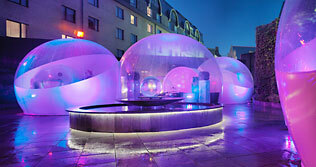 Sofitel Toison d’Or goes Bubbles! On the roof terrace of Sofitel Toison d’Or in Brussels, a couple of big transparent bubbles have been installed in which guests can sit and drink a cocktail or eat some tapas whilst being cozy and warm inside and yet have that outdoors feeling. The 5 bubbles are lit up at night and make clients feel they are floating on air above the streets of Brussels. Available for all guests of the bar throughout this winter season. Party time!! ‘Alex & Alex’, the brainchild of Charles-Eric Vilain XIIII, is all about passion, simplicity, authenticity, discovery and experience. 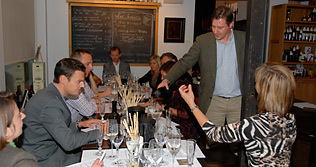 ‘Alex & Alex’ is a Champagne & Chocolate Store, a Champagne Degustation Bar and a Business Club. The business club is also available for small private functions, meetings and presentations for up to 60 persons. Opening February 1st on the Sablon in Brussels! Not only will Criaturas create the perfect event with animations ‘ a la carte’ for your corporate event, the also propose ‘the Private Loft’ as a stylish venue, located in the Port of Ghent. 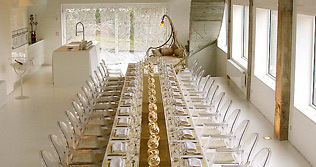 The Private loft can be used for dinner sup to 50 people, other event sup to 80 guests. The well-known chef, David Martin, of the famous ‘La Paix’ restaurant near the Abattoir in Anderlecht, Brussels, has taken on an extra challenge and is the creative culinary force behind the renewed BOZAR Brasserie. 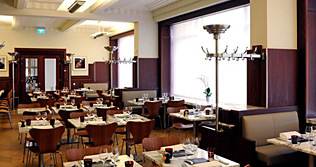 Classic menu with a contemporary twist, a real brasserie feel and a great location next to the film museum and the Bozar arts temple… a quick bite before a concert, a good meal after exploring the latest exhibition, Bozar Brasserie is definitely the place to be! A classy, elegant home away from home in the very heart of the city with different rooms for small to medium-sized groups to meet, wine and dine in style. No stereotype and bland decor here, but tastefully decorated rooms that invite to gather and network. Possibility for 8 to 16 people to stay overnight. A comfortable solution for a small delegation or group to stay in quiet luxury surroundings. The Berlin Marriott Hotel on Potsdamer Platz recently opened the city’s very first lounge bar created by one of Germany’s most famous fashion designer, Michael Michalsky. The Catwalk Bar is rapidly gaining a reputation as the hottest new venue in the capital and as place where not only supermodels are welcome; the venue is guaranteed to be a runway success with dedicated followers of fashion. Pac Asia region has, without a doubt, become the most important market in the airline business in the world declared Giovanni Bisignani Managing Director of the International Air Transport Association (IATA). It is mainly the fast growing emerging economies in the Far East that have moved the accent of the industry to Asia. It used to be the domestic market in North America that was the most important market. In 2009 655 million passengers traveled within the US and Canada, compared to 662 million traveling within Asia Total air travel will reach 3,2 billion (!!) passengers by 2014, 660 million of these passengers will be traveling in Asia. After the success of BBT Online’s 4 destinations workshop on November 21st, BBT Online partnered up with four new destinations to present you with another varied mix of locations to hold your meetings, incentives and events. On Monday February 21st, 2011, we would like to invite you to the splendid Midi Station: the most fashionable restaurant in Belgium. Midi Station is normally closed on Mondays but they will open its doors exclusively for us. For PCO’s and Incentive Agents only. Click here for more information. • ATP Event Experts warns that Europe is heading for an overcapacity in congress & convention venues based on a study by ICCA. in the centre of Brussels. • The Dominican and Be Manos Hotels have been recognized to be in the top 25 business travel hotels in Europe by CNBC Magazine. 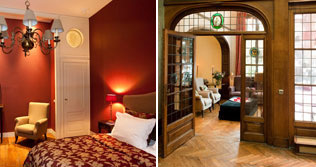 • City Inn opens a 553 bedroom hotel in the heart of Amsterdam in March of this year. • Worldhotels adds the City of London’s largest ever hotel to its portfolio: The new-build 583-room Mint Hotel Tower of London that opened on 20 December 2010. • Worldhotels presents its first branded hotels in Germany and Kazakhstan: Worldhotel The Rilano Munich, Worldhotel The Rilano Hamburg and Worldhotel Saltanat Almaty. • Despite the negative impact of the volcanic ash cloud, strike actions from Air Traffic Controllers and the numerous traffic interruptions in Europe due to severe winter weather conditions, Brussels Airlines transported 4,89 million passengers in 2010, an increase of 4,4 % over the year 2009. • Heidi Bijttebier, Manager Corporate Groups & Events Benelux at Amex has been let go after 30 years of loyal service. • After 6 years Dimitri Van Moekerke has left RendEvenement Magazine and has joined EMIF as communication officer. 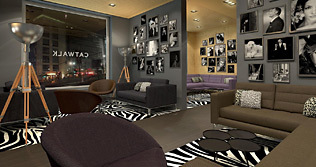 • New Park Inn Brussels Midi by Radisson, opening on March 1st, appoints Patrick D'Hoore as General Manager. • Wim De Preter has been appointed Executive Assistant Manager at the Park Inn Ulysse Resort & Thalasso in Djerba, Tunisia. • Executive Chef Martin Hoppers of the Restaurant @The Lobby in het Crowne Plaza Amsterdam-Schiphol has been nominated HorecaHeld at the Horecava 2011. • Laughing is good for you! Good wine is made of grapes and too much of the good thing can be dangerous… but who knew that grapes could be dangerous too! Click here.